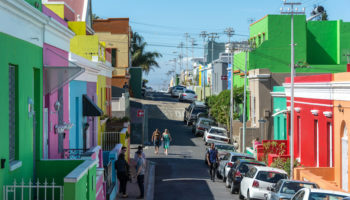 The southernmost country in Africa is a fascinating place to visit due to its diverse range of people and cultures that breathe life and energy into its bustling cities. With incredible landscapes and wildlife reserves bordering the metropolitan areas, you can be shopping in a mall or wandering around a museum in the morning, before spotting one of the Big Five wild animals later in the day. 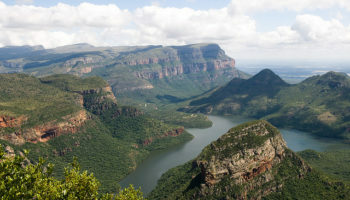 The best cities in South Africa have a wealth of things to see and do, and visitors will be delighted with its fantastic range of outdoor activities, as well as the plethora of restaurants, bars and accommodation options which combine to make it an easy and exciting country to travel around. With its lovely beaches and pounding waves making for some great surfing, Mossel Bay is a great city to visit if you love the outdoors. From here, you can enjoy the soft sands, hike along the coast, or even go skydiving if you feel like it. 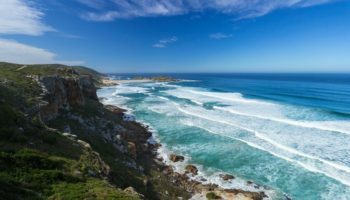 While the town itself is quite unattractive due to its industrial sprawl, the range of things to see and do and the laidback vibe make it a great stop off point when you’re traveling along the Garden Route. Lying right next to the Magaliesberg Range, most people stay in Rustenburg because of its proximity to Sun City and the lovely Pilanesberg National Park. 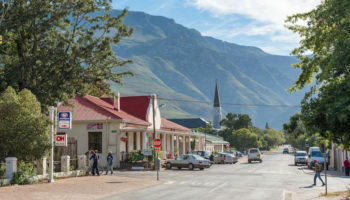 A lively but grimy place, there are lots of restaurants and accommodations to choose from amidst the unplanned sprawl of this platinum mining town. While lacking any sights of note, there are some great treks to be had in the nearby mountains. Located on the banks of the Orange River which waters its verdant gardens and date palm avenues, Upington is a pleasant, if unspectacular, place to visit – its town center is quiet and indistinctive. Walking along the riverfront, however, is delightful, and there are some nice views and peaceful spots to spend a bit of time. 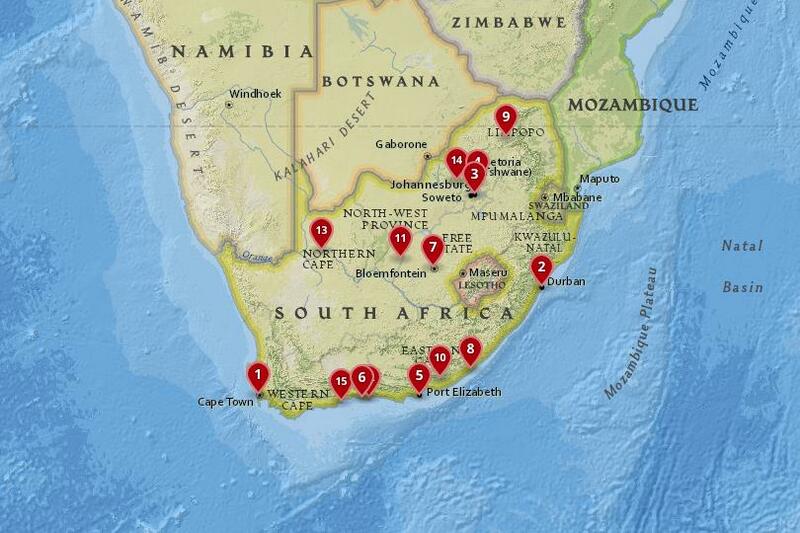 From here, many people head on to the Kalahari Desert or to the stunning Augrabies Falls. Due to its spectacular setting, Plettenberg Bay has long been a popular tourist destination in South Africa. With scenic mountains and lovely white beaches bordering the dark blue water, it is easy to see why this resort town attracts so many people. Although it can get busy, there’s a relaxed feel about town, and the whale watching here is superb during breeding season. Located on the Garden Route, the city is certainly worth a visit for the range of outdoor activities it has on offer. Located amidst the Diamond Fields, Kimberley is where de Beers started out, and the city will forever be associated with these glittering gems. Visit the Big Hole and the accompanying recreated mining settlement to step back into the past and experience how Kimberley used to be. Located in the Northern Cape, it has some great museums and fine old buildings which are steeped in history, as well as a scattering of decent hotels and restaurants. Once at the heart of bloody wars between Europeans and the Xhosa, Grahamstown’s center has some nice old architecture and churches that conjure up images of old England and allude to its prominent position in Settler Country. Nowadays, it has a lively university and is renowned for a vibrant arts scene, which includes the huge National Arts Festival. It’s a picturesque place that has lots of bars, restaurants and nightlife, not to mention the many outdoor activities to engage in. 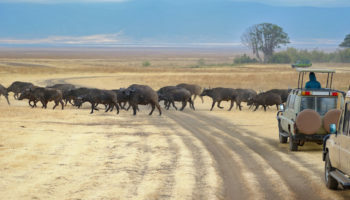 From here, there are numerous nature reserves where you can see the dwindling populations of the Big Five: lions, leopards, rhinos, elephants and buffalo. Lying between Pretoria and the border to its north, Polokwane is a grimy city that acts as an administrative and industrial capital to the Limpopo Province. A lively but chaotic place with a bit of a traffic problem, gated communities are hidden away amidst the urban sprawl. While it is not unpleasant to visit, many visitors use it solely as a transport hub to the surrounding areas. Set on the coast in the Eastern Cape, the center of East London is distinctly underwhelming due to its colorlessness and lack of identity. Consequently, visitors are advised to head straight to the waterfront, which looks enchanting set alongside the bay. Nahoon Beach is the perfect place to stop by if you’re into surfing, and at various points along the coast you’ll find well-tended parks and beaches. 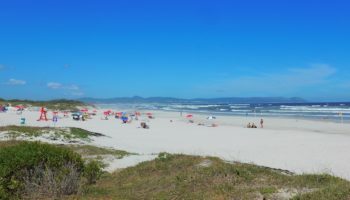 A transport hub, many visitors use East London as a gateway to the Transkei or the picturesque little towns that dot the coast to either side of it. Although it is the judicial capital of South Africa, this relaxing, peaceful city has a provincial feel to it. 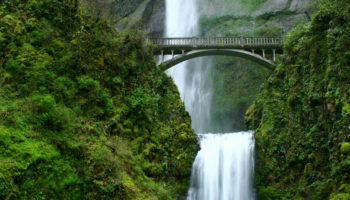 Consequently, it is a nice place to spend some time, despite having no major attractions. Located in the center of the country, the fact that it lies on several crossroads means that many people stop by on their way to somewhere else. With a nice art museum, some shopping malls and fine restaurants, the best time to visit is during the Manguang African Cultural Festival in October. Surrounded by beautiful, ancient forests and impressive mountains, Knysna lies next to a gorgeous lagoon. Its stunning location makes it just one of the highlights of the meandering and scenic Garden Route. Tragically, wildfires severely impacted the area in June 2017, although there are still plenty of nice spots to visit, with the stunning Tsitsikamma National Park being particularly worthwhile. 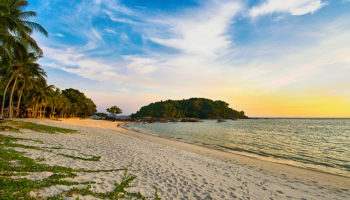 With lots of things to see and do, this artsy laidback city can get quite busy during the high season, due to its beautiful scenery and great range of accommodation and restaurants. Rampant modernization and the heavy industry upon which the city is built means that Port Elizabeth isn’t the prettiest place you’ve ever seen, although things are steadily improving. The city center, for instance, has a few charming old buildings scattered about, and there are many good hotels and restaurants. The main reason people visit is for the great beaches which line the Indian Ocean – from here you can go surfing, enjoy water sports and sometimes see dolphins and whales. Located on Algoa Bay, the nearby Addo Elephant National Park is a fantastic place to see some exotic wildlife. Lying just fifty kilometers from Johannesburg, the executive capital of the country, Pretoria, is a pretty place to wander around. Its leafy streets are lined with some delightful old architecture. Time your visit for spring, when its jacarandas bloom beautifully into life. Now a contemporary city with a multicultural population due to its foreign embassies, Pretoria was once the center of the vicious apartheid regime and is still a majority Afrikaner city. There are lots of interesting museums depicting the various cultures and people that call South Africa home. It is safer and more laidback to visit than its neighboring city, with much livelier nightlife too. 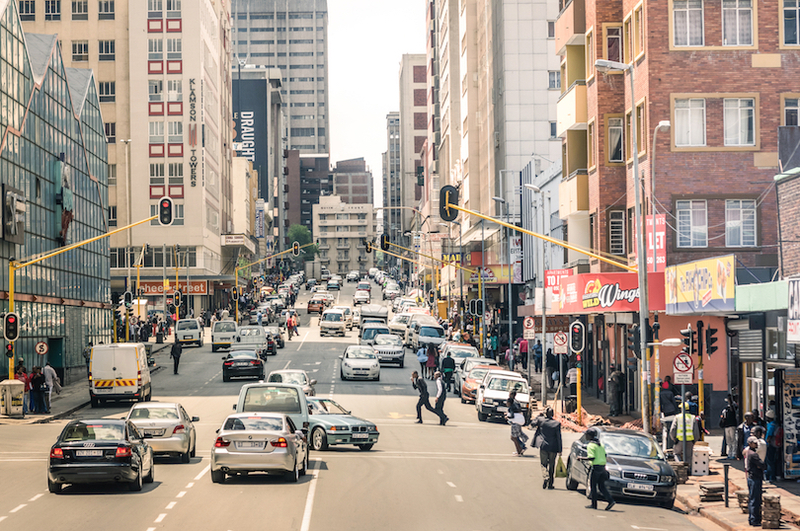 With around ten million residents, Johannesburg is the largest city in South Africa and is the economic heart of sub-Saharan Africa. Tellingly, however, almost half of the population live in townships such as the famous Soweto, and due to the huge inequality in wealth, crime is a big problem here – as is poverty. For a revealing and eye-opening look into South Africa´s tragic past, the Apartheid Museum is a must, and there are many other great museums to visit. 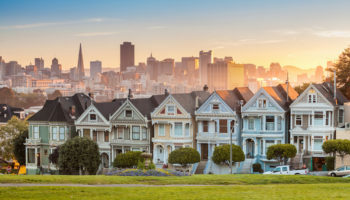 While the city does have its issues and its massive sprawl can be a bit overwhelming, it is a surprisingly welcoming place; its infectious energy will encourage you to keep exploring all of the great shopping, sporting spectacles and vibrant urban culture. 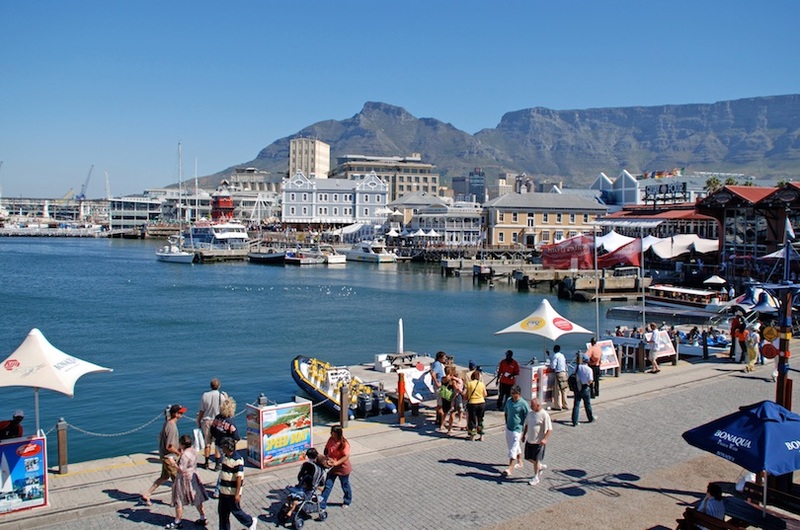 The third largest city in South Africa is a bustling place, thanks in part to its gigantic port – the largest in Africa. 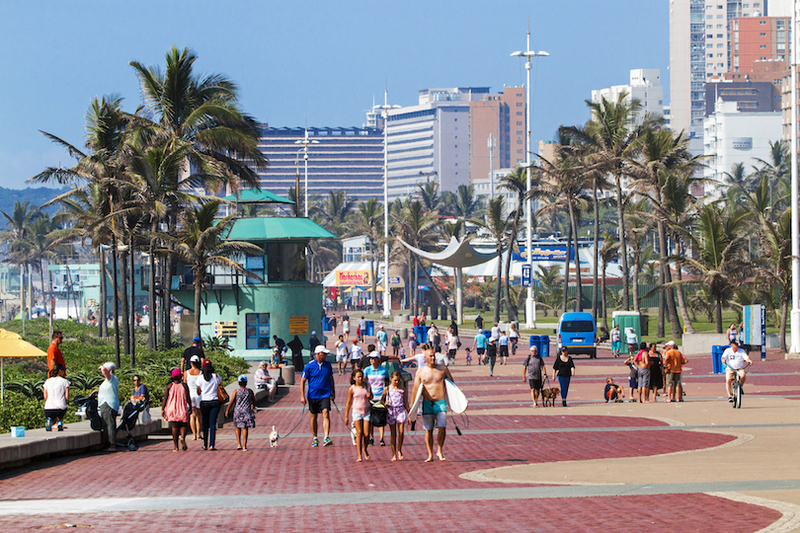 Much has changed in recent decades – the end of apartheid saw the city welcome many nearby Kwa-Zulu residents, who now make Durban one of the most African cities in the country. In addition to this, its huge Indian population also gives it an Asian flair, as demonstrated by the streets, markets and restaurants which you´ll come across. Lying on the Indian Ocean coast, Durban has a picturesque harbor as well as a lovely waterfront lining the expansive public beaches that many Jo´burgers come to enjoy. Although there is a slightly gritty feel to the city due to the port, recent developments have seen Durban much improved and even better to visit than before. The most visited city in the country is achingly beautiful to behold, thanks to the glistening waters that lie before it and the iconic Table Mountain that forms such a stunning backdrop. This multicultural place has a variety of people and cuisines that make it a delight to explore. 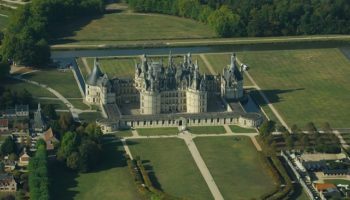 Its lovely, diverse architecture is home to fantastic restaurants, bars and some great nightlife. 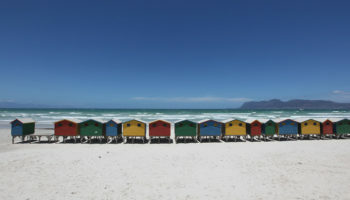 Lively but laidback, Cape Town lies in the far southwest of the country. 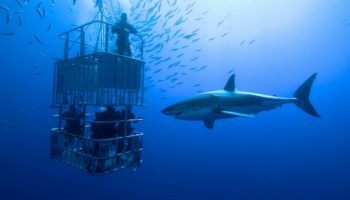 Its surrounding region is home to magnificent wineries in Stellenbosch; you can also go whale watching, dive with great white sharks, or enjoy the incredible landscapes of Table Mountain National Park. Lying off the coast is Robben Island, which, along with the townships that dot the city, will enlighten visitors about South Africa´s recent troubled past. With many great outdoor activities to take part in, a vibrant arts and culture scene, and a lovely vibe and look to the city, Cape Town is definitely a must-see in this brilliant country.